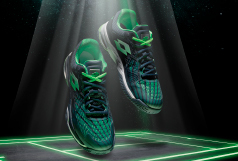 ULTRASPHERE II is a simplified version of the high-end STRATOSPHERE III shoe, ideal for proficient club players whose game is played on different grounds and surfaces. 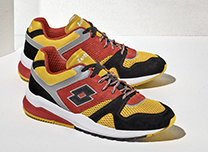 A sophisticated, high-science shoe, it blends balance and support with lightweight agility. 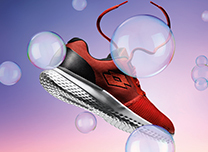 The Enerturn® heel cushioning absorbs the forces of impact and redistributes the power throughout the shoe, at the speed of energy. Clay outsoles and all-around outsoles are available. Nylon upper with Polyurethane reinforcement inserts and anti-abrasion toe-cap. 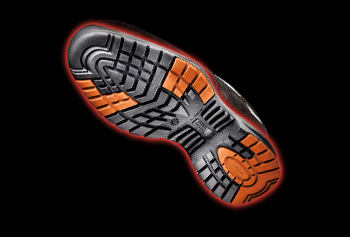 Is a set of technical features used in the construction of the upper or of the sole, which ensure correct support for the foot during the sideways movements. 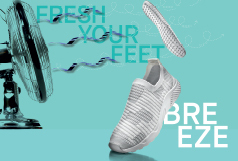 Available in tennis and running shoes.